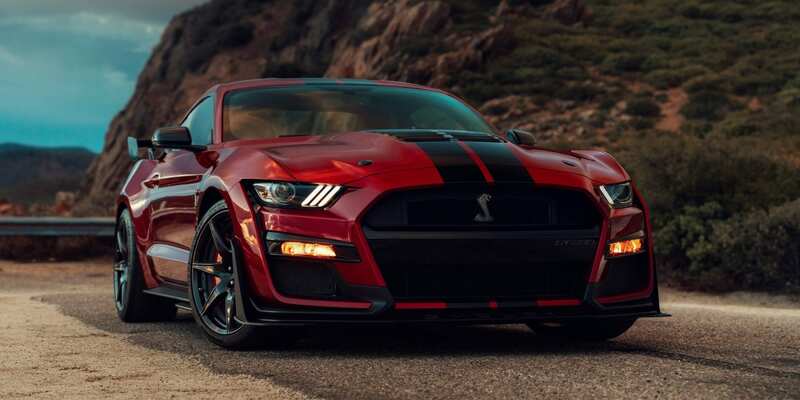 It’s been a long time coming, but the legendary GT500 is finally making a comeback – in quite a big way too. 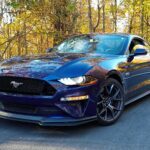 The Mustang has gone through a lot of changes since we last saw a GT500 in 2014 and Ford has fully exploited every ounce of performance afforded to them by the groundbreaking S550 platform. 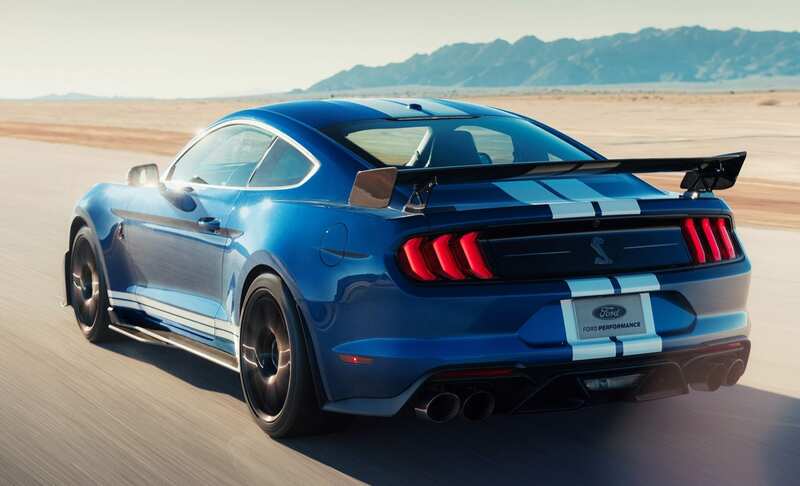 It’s the most advanced and most powerful Mustang to date. In fact, it’s the most powerful street legal Ford ever. Let’s dive in. 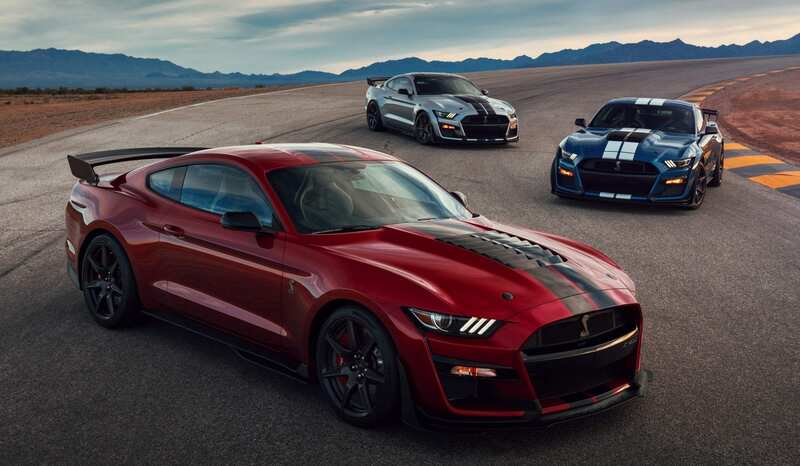 The source of that record-breaking power is a familiar 5.2-liter aluminum alloy engine built by hand that’s most likely based on the GT350’s Voodoo motor. 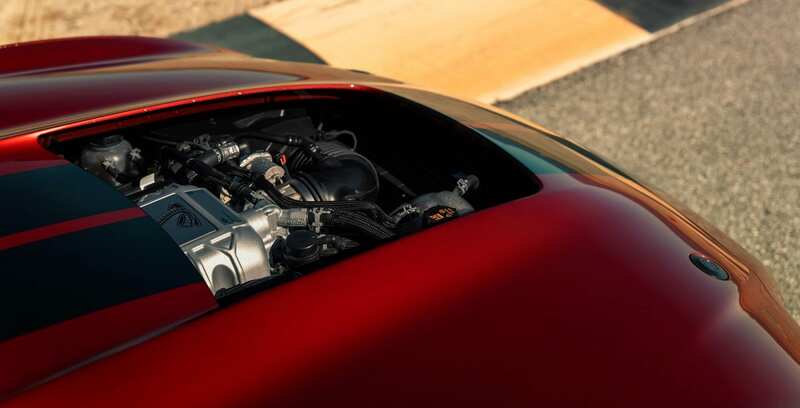 The extra kick comes from a 2.65-liter roots-type supercharger with its air-to-liquid intercooler tucked inside the V8 engine’s valley for a lower center of gravity. The aluminum alloy block features weight-saving wire-arc cylinder liners and high-flow aluminum cylinder heads, plus larger forged connecting rods, improved lubrication, and cooling passages. 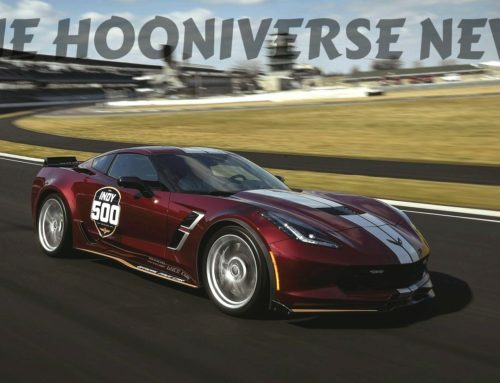 When it’s all said and done, “more than” 700 horsepower is available. They’ve been telling us that for a while now but we’re not any closer to the more accurate numbers. It arrives this fall so they have plenty of time to figure that out themselves. 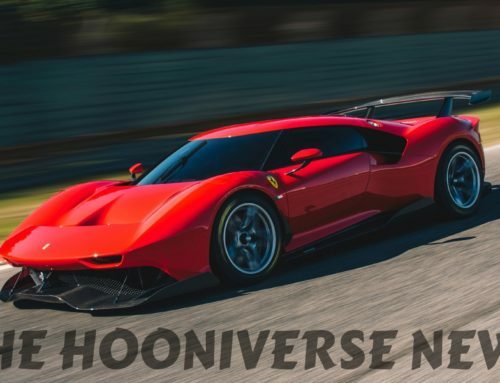 As for the rest of the running gear, the transmission given the daunting task of sending that all to the ground is a new Tremec seven-speed dual-clutch transmission. No manual option is expected, but who knows, maybe they’ll surprise us. This DCT provides quick and smooth gear changes in under 100 milliseconds and is calibrated with lessons learned from the Ford GT’s transmission. It has a variety of selectable driving modes, line lock, and launch control. A carbon fiber driveshaft is included as well. 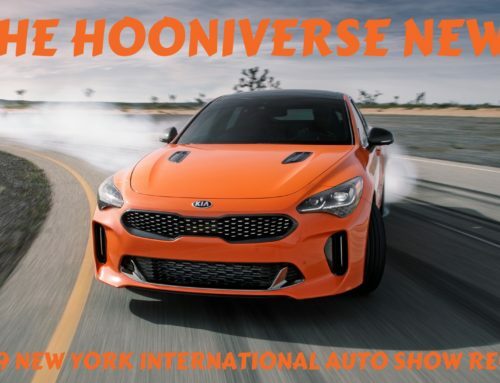 This potent combo is capable of “mid-three-second 0-60 mph and sub-11-second quarter-mile scores”. 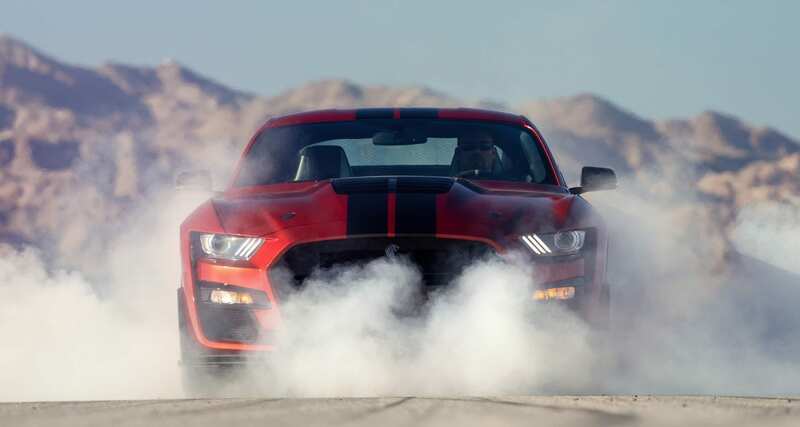 But unlike GT500s of the past, this one is meant to do more than just straight line sprints. 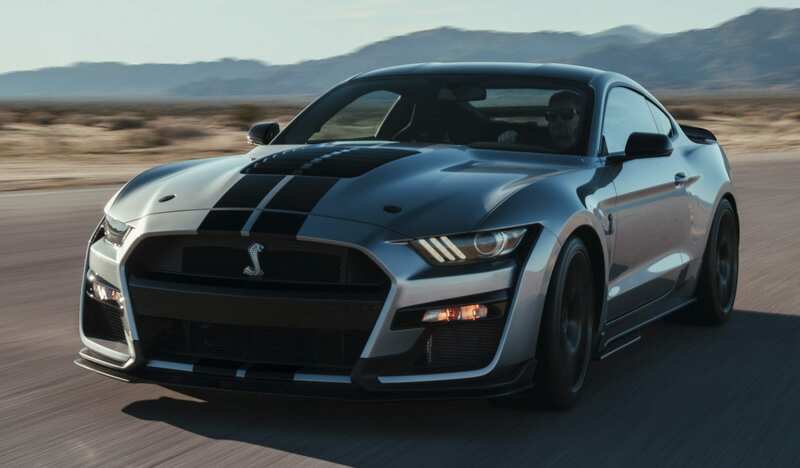 The GT500 takes advantage of revised suspension geometry, a new electronic power steering unit, lighter coil springs at each corner, the latest active MagneRide suspension, and specially calibrated driving modes. 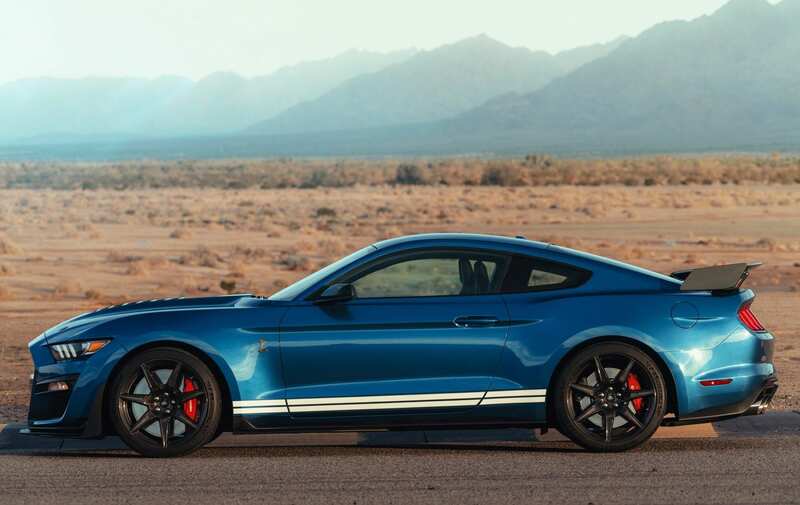 Additionally, custom Ford Performance-spec Michelin Pilot Sport 4S tires and optional Pilot Sport Cup 2 tires are available for relentless grip. 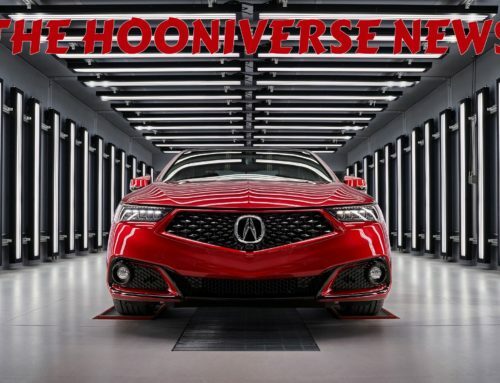 Stopping power is provided by massive 16-5-inch two-piece rotors – the largest of any domestic sports coupe – plus larger Brembo six-piston calipers. Taking its track capabilities even further are two available handling packages. The first includes adjustable strut top mounts and a spoiler with Gurney flap. For those who actually plan to take theirs to a road course, an available Carbon Fiber Track Package features exposed 20-inch carbon fiber wheels with 0.5-inch-wider rear wheels (11.5-inch), custom Michelin Pilot Sport Cup 2 tires, adjustable exposed carbon fiber GT4 track wing, splitter wickers with integrated dive plane, and a rear seat delete for good measure. 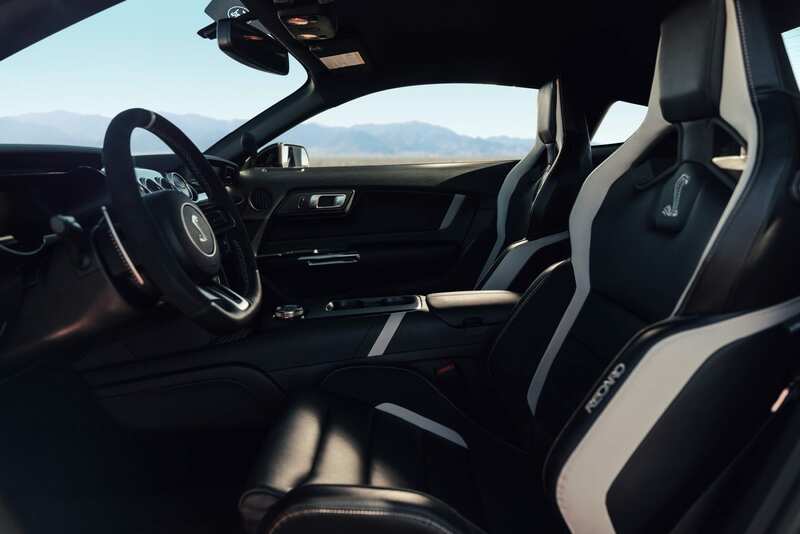 The payoff is the highest-ever lateral acceleration from a Mustang. 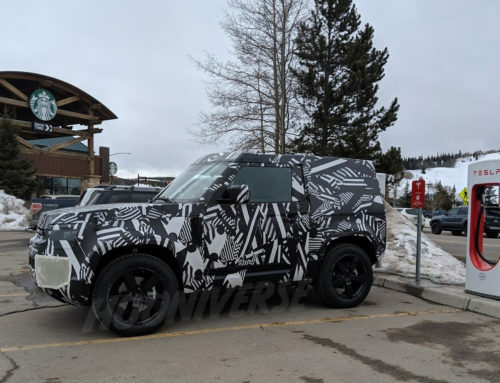 Styling wise, everything that’s been added is there for the purpose of thermal management and downforce and was designed in a rolling wind tunnel at Ford’s motorsports technical center in North Carolina. 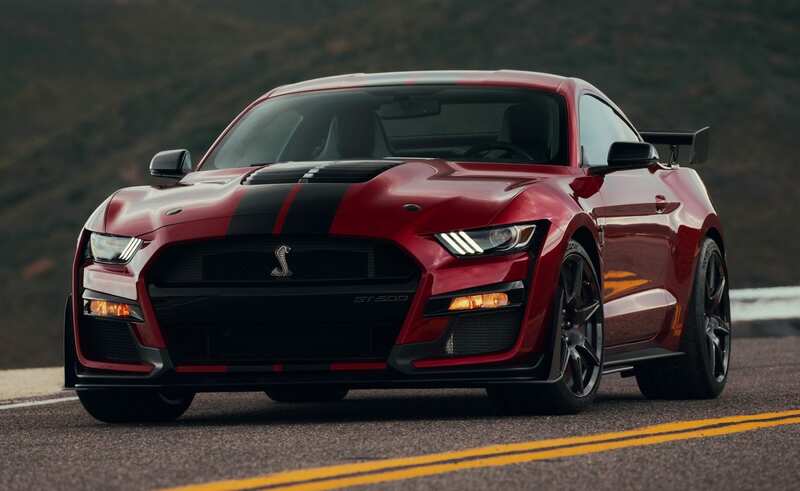 Front fascia openings are more than doubled versus the Shelby GT350, while six heat exchangers are stuffed in to increase cooling pack airflow by more than 50 percent. A massive 31×28-inch louvered hood vent features a removable aluminum rain tray for better air extraction and increased downforce at the track. It’s been a long time coming, but this comeback is one that doesn’t disappoint. 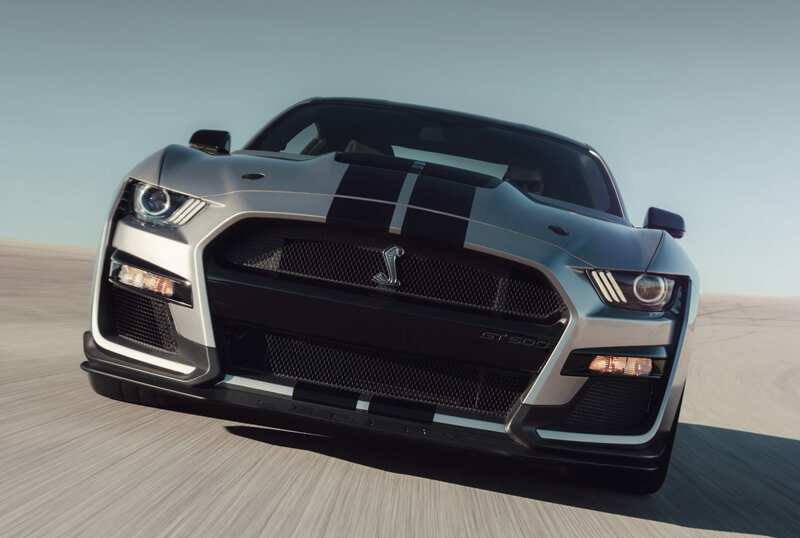 Ford has taken the GT500 to a new extreme and has turned it into way more than just a straight line bandit. We truly live in exciting times.